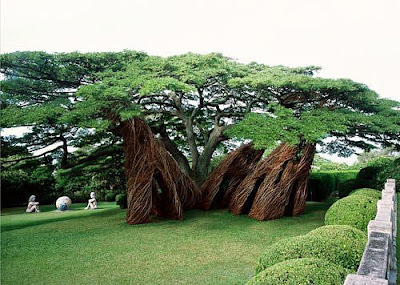 right into its surroundings. 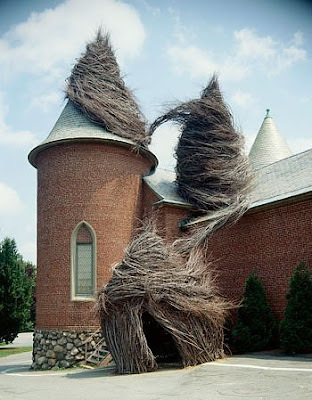 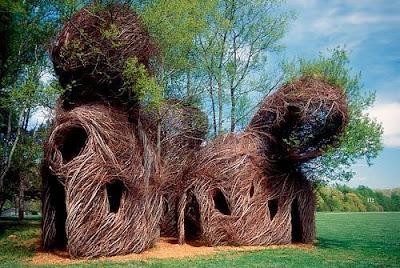 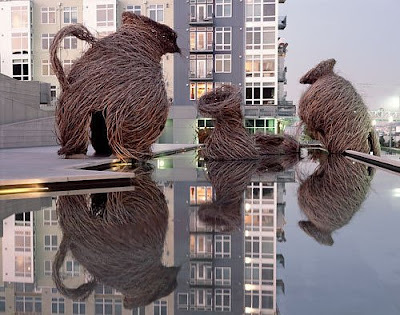 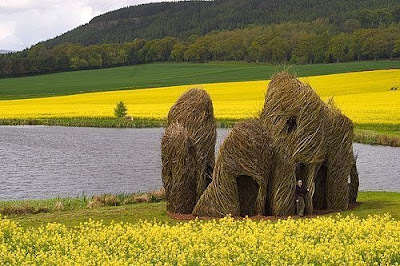 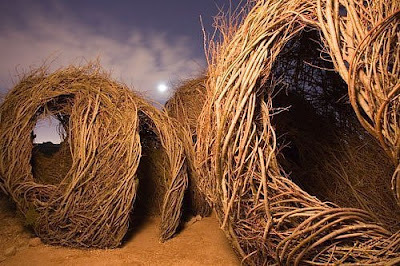 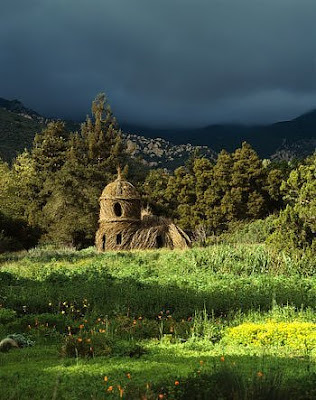 It calls forth visions of a simpler world in keeping with nature and is one of sculptor Patrick Dougherty’s 150 amazing twig art installations that have sprung up all around the world to the wonderment of passersby since 1982. 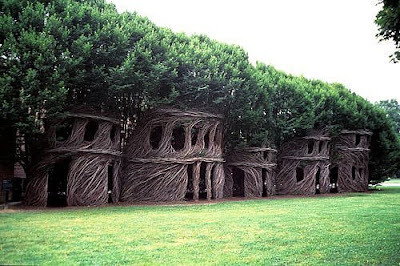 Be prepared to transport yourself to another world.